Vehicle theft is a multi-billion dollar crime in the U.S. 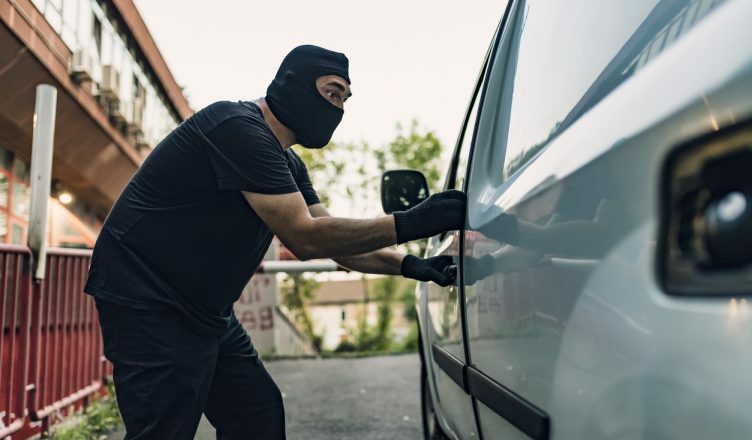 According to a report, about $6 billion was lost due to motor vehicle theft in 2017 and one vehicle theft was reported every 40.9 seconds. The alarming fact is that 42% of the stolen vehicles in 2016 were never recovered, according to an FBI report. These statistics are scary, right? If your vehicle gets stolen, you might need to shell out more money to buy a new vehicle if it is not recovered. Also, if your stolen car is insured, your insurance rates will increase. And, there will be other hidden expenses as well. These include insurance excesses, on-going loan repayments, and loss of goods, assets or work tools and opportunities. According to the FBI, a whopping $30 billion in cargo is stolen in the U.S. each year. And, around $1 billion of construction equipment and assets are stolen annually as per the National Insurance Crime Bureau. But, you will never again have to worry about these things if you have a GPS asset tracking system in place. How? Read on to find out more. GPS-based asset tracking software help you track your vehicles and asset locations in real time. So, as an asset owner, you can easily see if your vehicles drive outside the routes planned or whether an asset has been moved either outside of the normal hours or to a specified location which could be a sign of theft. You can then immediately contact the police and share the data to help them recover your vehicle and assets quickly. In fact, that is how one of our clients in New Jersey recovered their stolen assets. In January, one of their drivers parked the company vehicle without locking it and with the keys inside, while grabbing a cup of coffee. To his utter surprise, the vehicle was gone with the assets inside it when he came back. He immediately informed the company manager who then located the vehicle by logging in to the real-time GPS asset tracking software. The company informed the police and shared the location of the vehicle with them and the vehicle was recovered within two hours. Long story short, GPS asset tracking software bolster asset theft prevention and give you peace of mind by providing live and historical data 24/7 so that you never need to worry about theft again. If any driver crosses the speed limit or is guilty of road rage, you will immediately know about it and can contact the driver to rectify the behavior. This would help you avoid unnecessary expenses, such as repair costs, liability litigations, and replacement costs. Also, it would mean that your business does not get a bad reputation. Insurance companies even offer discounts on premiums when you have an asset tracking system in place. If a vehicle breaks down suddenly, you will know about it immediately and can send roadside assistance. If you use a route optimization software that comes with an asset tracking feature, you can even re-optimize the route and assign it to the driver or field rep nearest to the customer’s location who could be affected to still meet the deadline. Drivers often park vehicles, without switching off the engine, Such excessive idling could cause you almost a gallon of gas per hour for no reason. The amount of wastage and the fuel expenses associated with it even go further based on the vehicle engine size and air-conditioner usage. An asset management GPS tracking system can help you identify whether a vehicle is idling for a long period so that you can take corrective actions. With a GPS asset tracking system, you effectively direct your drivers to any job site. For example, you can send the closest vehicle to a new customer location or you can reroute a vehicle to deliver a package on time if the designated vehicle or driver falls behind schedule. This will ensure that you never miss a deadline. Moreover, if customers ask for an ETA, you can provide them with an accurate delivery time. You can also keep them informed of any late delivery times which will eventually make your customers happy. A real-time GPS asset tracking software will help you avoid any customer disputes as you will have the delivery details at hand. For example, you will know the exact time a driver arrived at a location and how long he or she stayed at the location. So, if a customer complains about late delivery or appointment, you will have data to know the truth. You can learn more about the capabilities of vehicle tracking software in our article on how GPS tracking protects vehicles and cargos from theft. However, please note that not all GPS-based asset tracking systems are the same. Learn more about what type of GPS asset tracker suits your business in our article on the different types of GPS tracking. And, if you want to learn more about the technology behind a tracking app, read our article on how GPS tracking works. Do not leave the keys in the vehicle. Do not leave valuable items in open view. Keep the vehicles locked at all times, even while driving. Never leave the vehicle running and unattended. Invest in steering wheel locks, car alarms, and wheel locks if possible. Incorporate immobilizing-type devices which prevent thieves from bypassing a vehicle ignition system and hot-wiring the vehicle. Avoid known high crime areas. You can use a route planner to plan well-optimized routes which factor in avoidance zones. So, how do you ensure you can recover your lost vehicles and assets? Have you explored a real-time GPS asset tracking system before? Do you have any questions? Please feel free to leave your comments below.